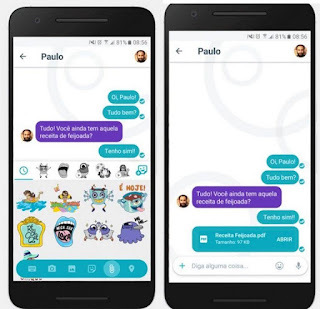 Google Allo Messaging App came out initially with nice features, but there are some basic and expected features that didn’t follow the App on launch then. So Google just rolled out some of these basic features needed by users on their latest update to Allo App. Users Can now Share Files and Documents through their downloaded and installed Allo application. This update brought to users by Google on Allo App, has an option for all the supported formats of documents and files which are to be shared on the platform while chatting. The format of files are as follows; Android apk, zip, pdf, .doc and .mp3. While on a conversation with someone, click on where you see "+" sign, it is located at the bottom left corner of the device’s screen you are logged in with in Allo App. Next, click on the paper clip icon to open your phone’s file explorer. Here you choose the file to send, whether in ( Apk, zip, pdf, .doc and .mp) and click on "Send now". You are go to go, that’s all you are expected to do in order to share files on the Google App. Also, Speculations are going on about another feature which Google intend to roll out for its messaging app allo. This feature seems to be adding of stickers. No confirmation to this yet. But will let you guys know about any new development concerning it. So stick around this blog for latest updates.